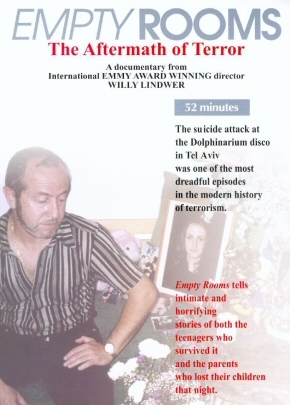 The reconstruction of the dramatic terror attack on the 'Dolphinarium' disco in Tel Aviv, in June 2001, which killed more than 20 Russian youngsters. The story is told by survivors and relatives. The bombing at the disco was one of the most dreadful episodes in the modern history of terrorism. 'Empty Rooms' tells intimate and horrifying stories of both the teenagers who survived it and parents who lost their children that night. An AVA-Dateline production in cooperation with the MCF Fund (Israel).